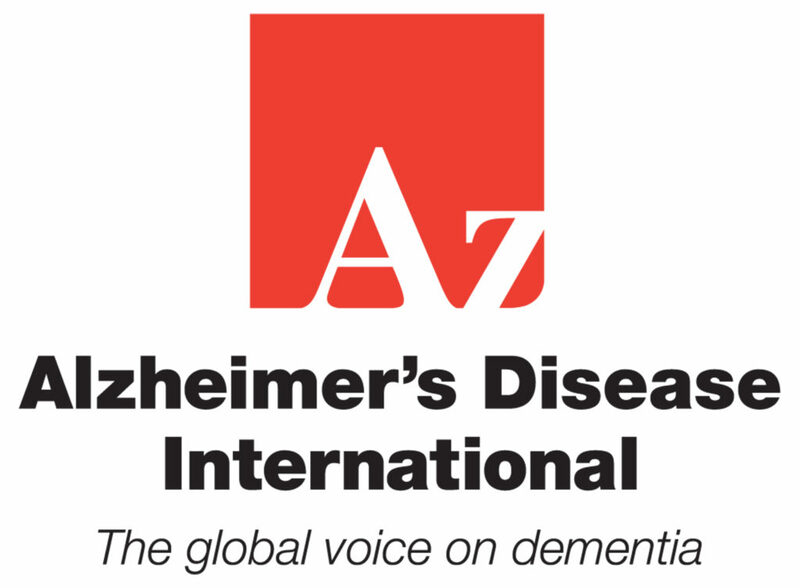 Today, the third day of Dementia Awareness Week UK, we are posting the presentation give by DAI Board member and EDWG member Agnes Houston MBE recently at ADI2016 in Budapest. 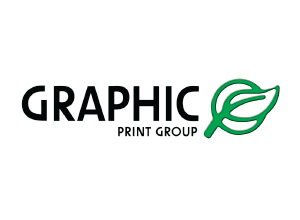 Hi everybody I hope you are all enjoying this conference. I feel privileged to be here and will share it with my Dementia friends who could not be here. My name is Agnes. I have been living with Dementia of the Alzheimer type for ten years now. As you can see from this slide, dementia is more than memory. In the UK, it’s classified as a mental health condition with physical and social implications. Yet why is it at our dementia reviews? Doctors and nurses concentrated on and test our memory. 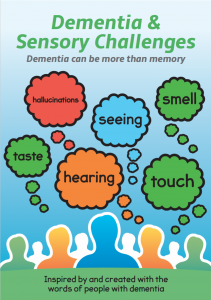 Yet for us living with all types of dementia, we seem to receive no guidance on how to cope with sensory and other stuff. As For me, nobody asked about my sensory challenges, and when I brought it up no assistance was given, either practical or emotional. I found my help and understanding at the ADI conference 2011 in Toronto. Then if we have sensory challenges, sign post us on to services like opthopist for visual problems and audiology for hyperaccusis, and Neurology for other issues. In 2014 at the European conference in Glasgow, Life changes trust funded over 35 PWD to attend. It’s good to help us financially to attend these conferences. Why? So that we can talk to each another and share our experiences and take it back to our own countries and Alzheimer associations. That is when this booklet was decided upon. 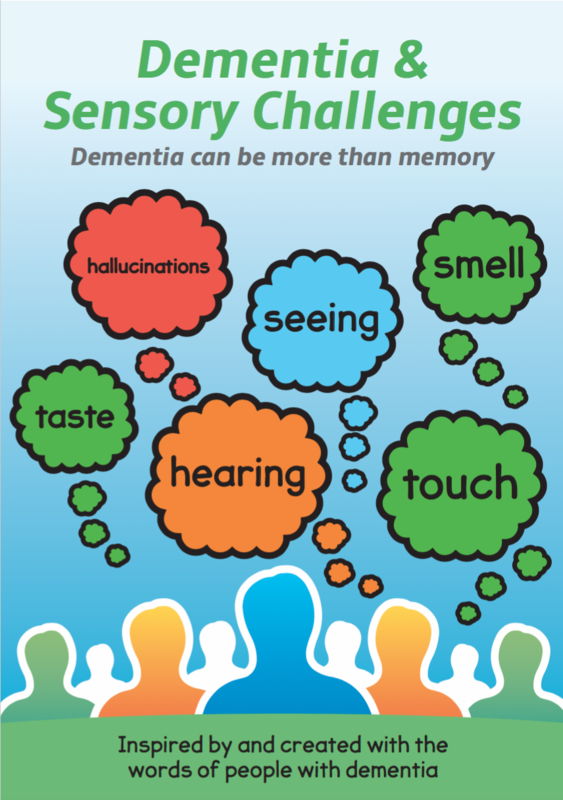 We realised we came to conferences and that little was being presented about sensory challenges and Dementia. Yet behind the scenes we the PWD, are sharing stories and helping one another to try and come to terms with our scary daily sensory challenges. 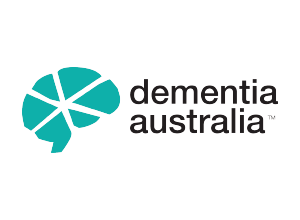 This booklet is the result of interviewing 24 PWD all ages and different types of Dementia. We don’t profess to have the answers. We tell our lived experience then relate what we do and we hope this booklet will encourage you to think how we can assist with these issues. I spoke at the European working group session and gave a preview of this booklet. (At the time no DVD was available). Here is some feedback and quotes on the slide. This booklet would not have happened without collaboration from people with Dementia, who gave of their time? And shared their lived experience. This photo was taken at a DEEP (Dementia Engagement and Empowerment Project). Event in London, and you can see how happy we all were to see the booklet in print, and hear how well it has been received. We wish the professionals would listen. As Elaine said it’s a relief to meet others with the same symptoms I no longer feel alone. Another Person said, Dementia is more than Memory. Feedback from the booklet has been positive. We have been asked to give permission to have it translated into other languages. Like Welsh and Italian, and an architect Birgit Dietz we meet in Slovenia has taken a particular interest in how to use this information in her field. People with dementia and their CARERS have already taken it to GPs and opticians to explain their symptoms. People with dementia feel empowered and no longer alone when they read this booklet and recognise their own experiences being described by others. It’s good to know others have it too. Last month after a requested visit to see an audiologist, I was officially diagnosed with Hyperaccusis. The audiologist said I was nearly off her chart and she was surprised I could cope with the Sensory overload when I leave the house. This booklet can be downloaded for free on the life changes trust website, and there is also links to the DVD online as well. The legacy of this project is the increased awareness in people with dementia, their carers and friends. The professonials are also spreading the word.